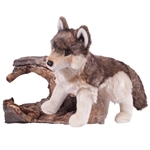 What better way to start your own wolf pack than with wolf stuffed animals? Our stuffed wolves and plush wolves will gladly follow your lead and help you hunt down good times. 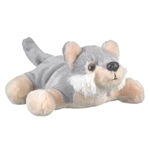 A wild plush animal like a stuffed wolf may be just the thing you need to finally let loose and start having some real fun. 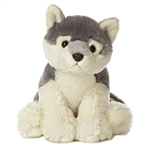 Getting a few of these stuffed wolves and plush wolves is a surefire way to make big changes in your life. When you run with the confidence of a person in a plush wolf pack nothing can stop you from achieving your goals. You always know that your wolf stuffed animals are right there and ready to back you up in any situation. Scared to ask a date to a dance? Take your stuffed wolf pack with you when you ask and get results. Taking a big test at school? Bring the plush wolf pack and pass with flying colors. It's obvious that a stuffed animal wolf pack is what you've been needing to get you howling at the moon and living life to the fullest. 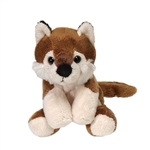 Scroll down to pick the best stuffed wolves and plush wolves for your wolf pack and we'll send them out right away. You won't regret it!